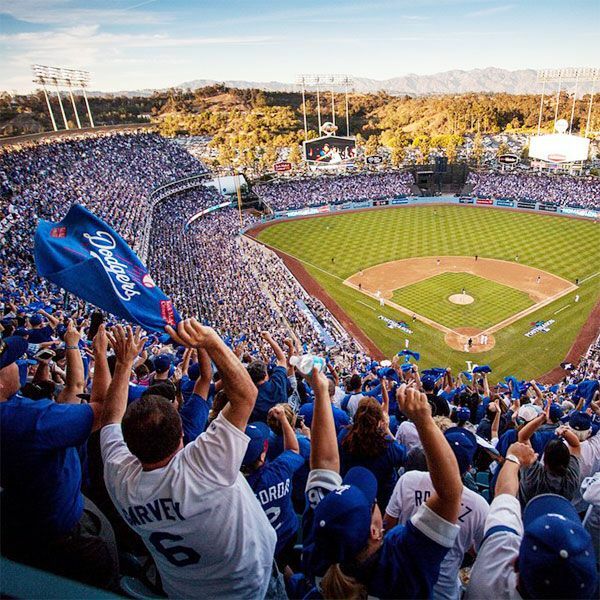 It probably doesn’t surprise you that local spots like Disneyland and Dodger Stadium have the official honor of being among the most Instagrammed places in the world. 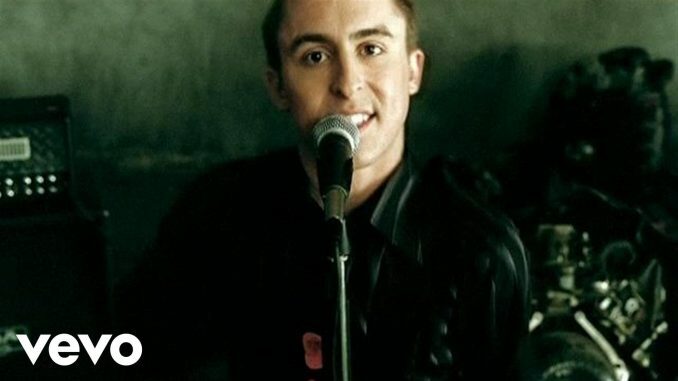 But, the L.A. love doesn’t end there. A slew of haunts pops up in our Instagram feeds on the reg, courtesy of locals and out-of-towners alike. Ahead, get ready to feast your eyes on some of the coolest, most photogenic corners of the city — without ever having to sit in traffic. 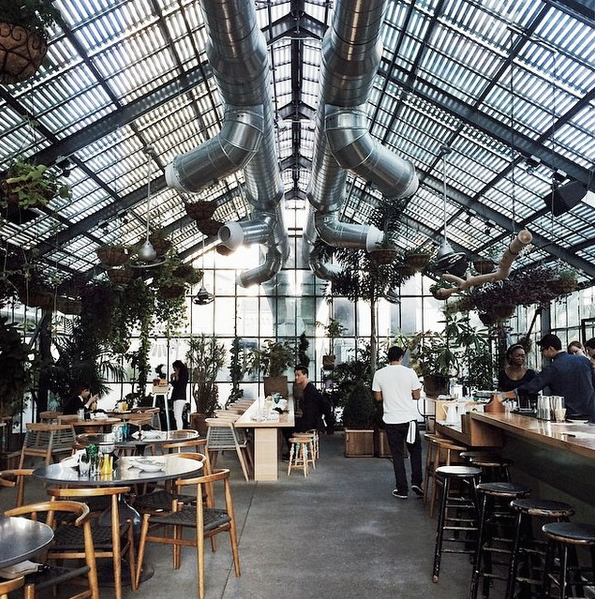 From a Blade Runner building to the dreamiest art havens around, click through for the L.A. spots that are always #instagood. An outdoor gym, eclectic shops, and surf-worthy big waves — this oceanfront walk has it all. 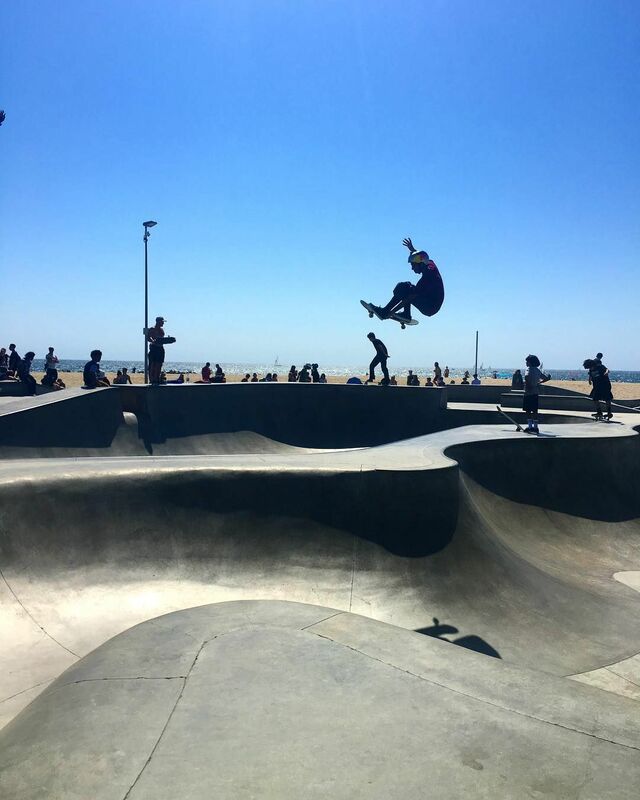 Here, some of the best shots are taken of skateboarders shredding at the skatepark, which is often considered to be the birthplace of the extreme sport. Snap a pic of these skaters catching major air next time you’re in the area. Venice Beach Ocean Front Walk, 1800 Ocean Front Walk; 310-396-6764. The only stadium on earth to host the Summer Olympic Games twice, the Coliseum is sure to get you the gold medal in Instagram likes. 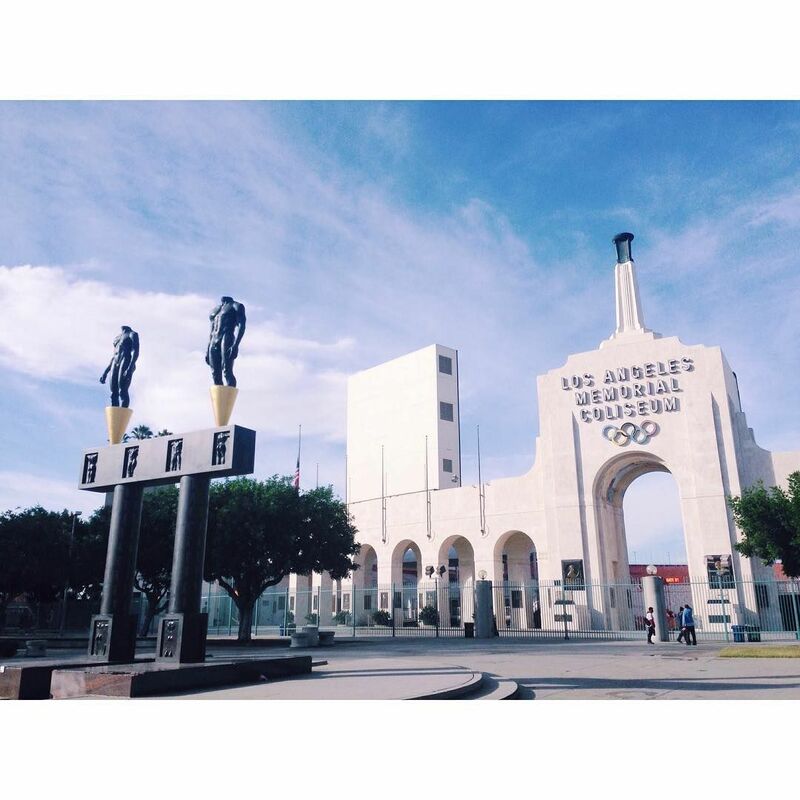 Los Angeles Memorial Coliseum, 3911 South Figueroa Street; 213-747-7111. This historic cinema palace holds plenty of Instagram potential. Snap pics of the lavish exterior architecture, the intricate interior design, and the iconic stars’ handprints right outside. And maybe catch a flick somewhere in between. 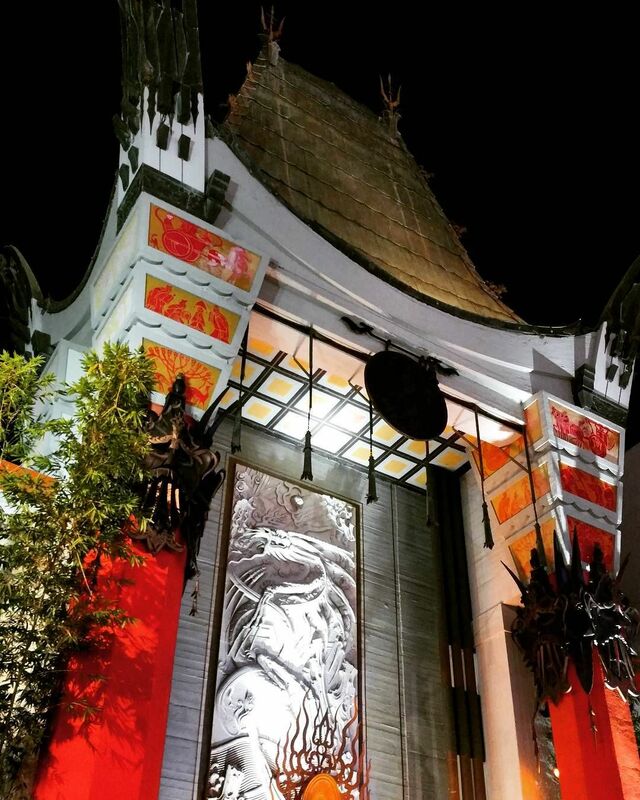 TCL Chinese Theatre, 6925 Hollywood Boulevard (at Highland Avenue); 323-461-3331. Built back in 1956, this building has been around to witness the recordings of some music’s biggest names, from Frank Sinatra to Paul McCartney. Apparently it’s a coincidence that the structure resembles a stack of records, but pointing that out in your caption will totally change the tune of your Instagram feed. 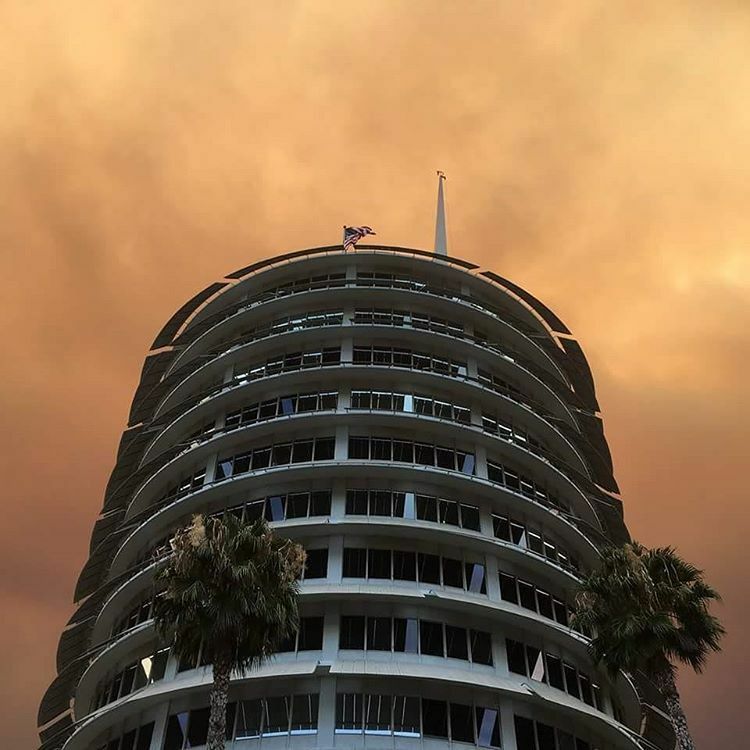 Capitol Records Building, 1750 Vine Street; 323-871-5001. Commissary at The Line Hotel, 3515 Wilshire Boulevard; 213-381-7411. This might be the most popular power lunch spot in all of L.A. — and for good reason. It’s a classic. While you’re more likely to spot a celeb if you grab a spot at one of the booths, we recommend donning your sunglasses, ordering a big fruity drink, heading out to the patio for some major people watching. The Polo Lounge, 9641 Sunset Boulevard ; 310-887-2777. Head here every Sunday morning and you’ve got an equal chance of spotting the perfect peach or a few of your favorite celebrities. Luckily, both look great in photos. 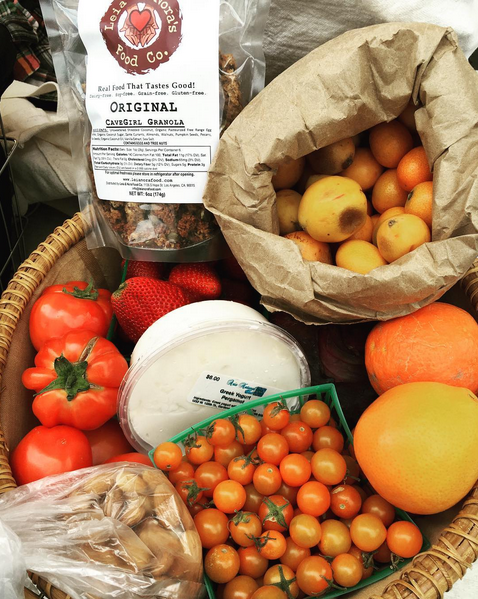 Hollywood Farmers’ Market, 1600 Ivar Avenue; 323-463-3171. This little corner of Malibu feels like it’s all your own — well, you and 100 of your new best friends. Parking can prove tricky, but the extraordinary view from the top of the cliff is more than worth it. Point Dume State Beach, 7103 Westward Beach Road, 805-488-1827. If you build it (and slap a graphic design on it), Instagrammers will come. Not to be outdone by the cool exterior, this Venice shop’s selection of clothes and home decor is truly top-notch. 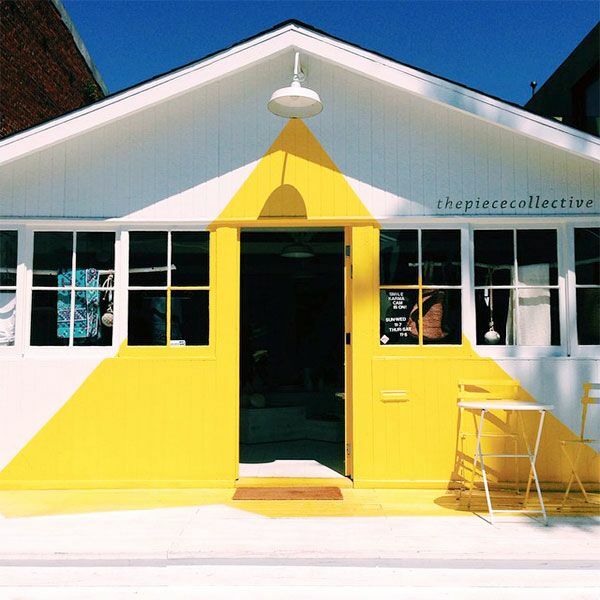 The Piece Collective, 1629 Abbot Kinney (near Venice Boulevard); 424-238-8382. 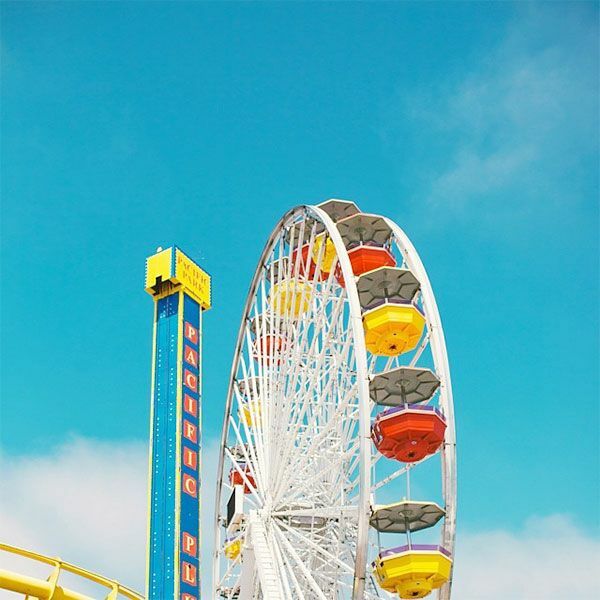 Santa Monica Pier, 200 Santa Monica Pier (at Ocean Avenue); 310-458-8901. 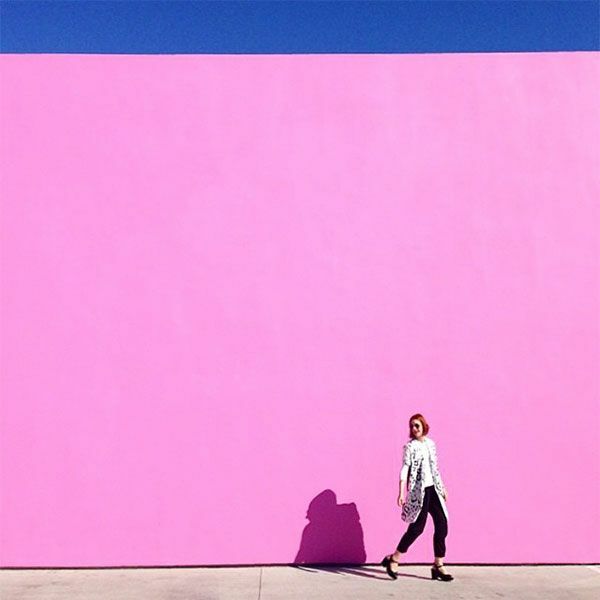 Refinery29 EIC Christene Barberich knows the formula for a perfect portrait: bright pink wall + clear blue sky = #instagold. Paul Smith, 8221 Melrose Avenue (at North Harper Avenue); 323-951-4800. 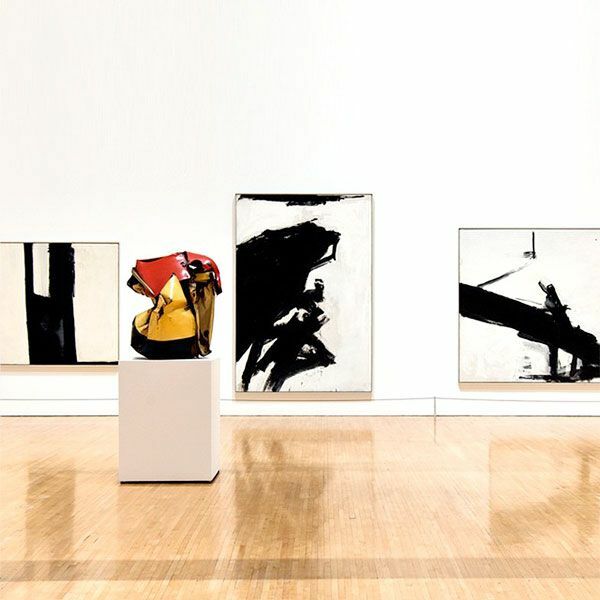 The Museum of Contemporary Art, 250 South Grand Avenue (at West 3rd Street); 213-626-6222. This Frank Gehry-designed concert hall — which cost an estimated $274 million — is the Beyoncé of buildings: curvy in all the right places. 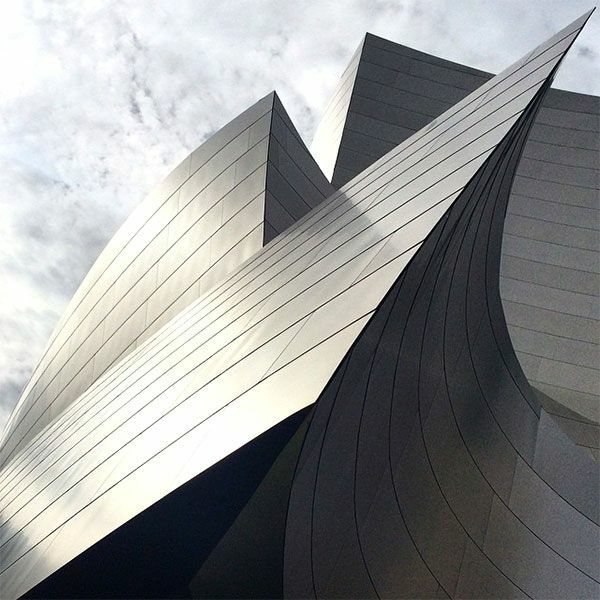 Walt Disney Concert Hall, 111 South Grand Avenue (at West 2nd Street); 323-850-2000. 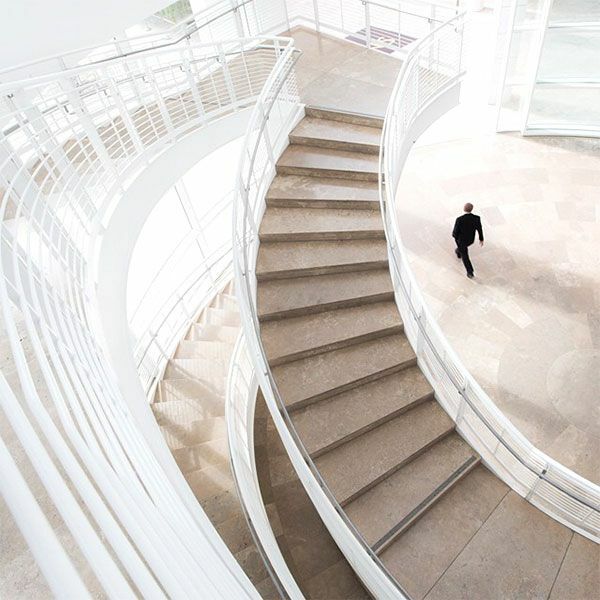 The natural light, the clean white lines — it’s like Christmas morning for Instagrammers. From the Research Institute to the Museum, the Getty Center’s grounds are chock-full of picture-perfect pockets, #nofilter necessary. Getty Center, 1200 Getty Center Drive (near Beverly Park Drive); 310-440-7300. 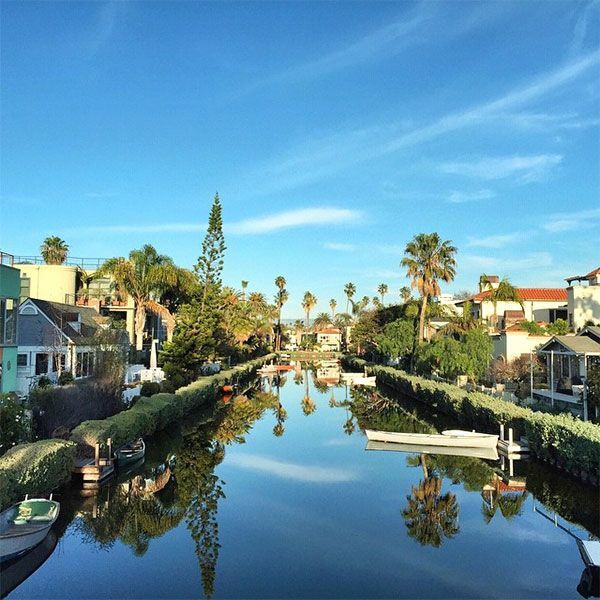 Listen, George and Amal might not have floated down our version of the Venice canals, but we happen to be pretty fond of it anyway — and, we have Mr. Abbot Kinney to thank for it. Venice Canal Historic District, Carroll Court (at Eastern Canal Court); no phone. 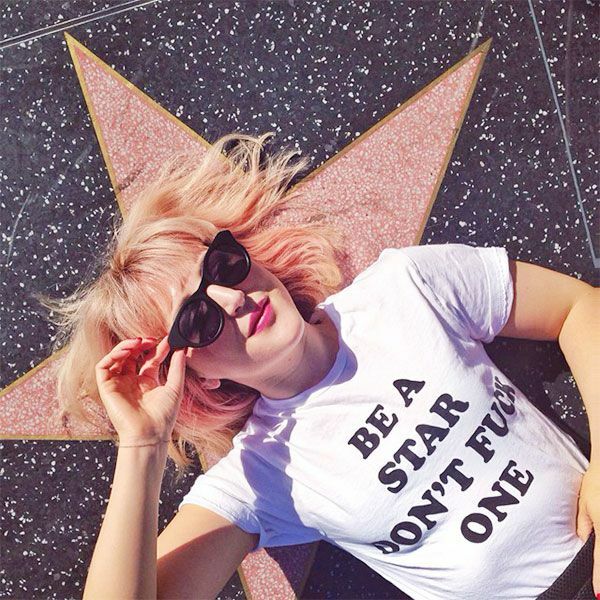 R29 Executive Creative Director Piera Gelardi brings her unique sense of style to everything that she does — even a classic Hollywood Walk of Fame pic. Hollywood Walk of Fame, Hollywood Boulevard (between La Brea Avenue and Gower Street); 323-469-8311. 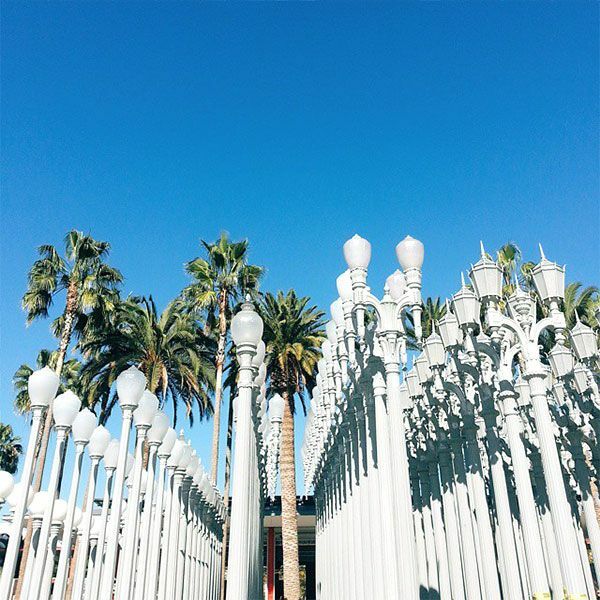 Sure, LACMA’s Urban Light installation was already popular, but the No Strings Attached scene with Ashton Kutcher and Natalie Portman made these the most sought-after lampposts on all of Instagram. LACMA, 5905 Wilshire Boulevard (at South Fairfax Avenue); 323-857-6000. Once characterized by Skid Row (and confusing one-way streets), DTLA has been given new life, thanks in no small part to the Ace Hotel. The historic building is a beacon for ‘grammers near and far. Ace Hotel, 929 South Broadway Street (near West Olympic Boulevard); 213-623-3233. 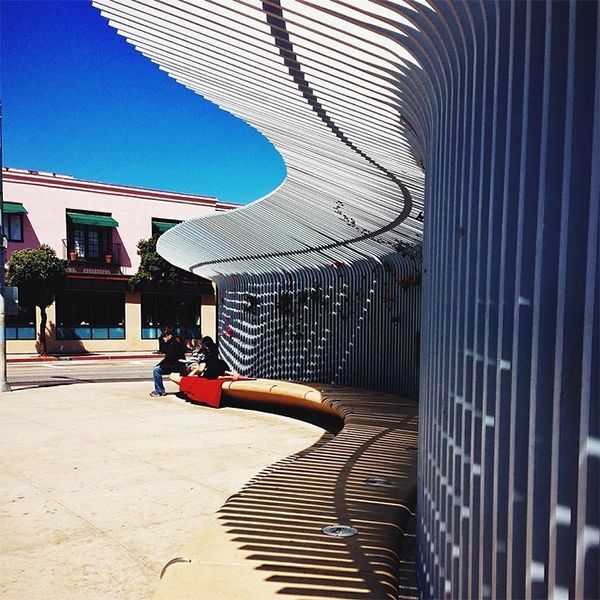 Skip the touristy 3rd Street Promenade in favor of Santa Monica’s Tongva Park, which boasts amazing sculptural works, peaceful garden paths, and A+ ocean views. You’ll be handsomely rewarded in the form of Insta likes. Tongva Park, 1615 Ocean Avenue (at Colorado Avenue); 310-458-8310. Hollywood Sign, 3000 Canyon Lake Drive (near Arrowhead Drive); no phone. If only Instagram had been around when The Doors played their legendary concert at the Hollywood Bowl in ’68. Jim Morrison’s leather pants would have looked great in Valencia. 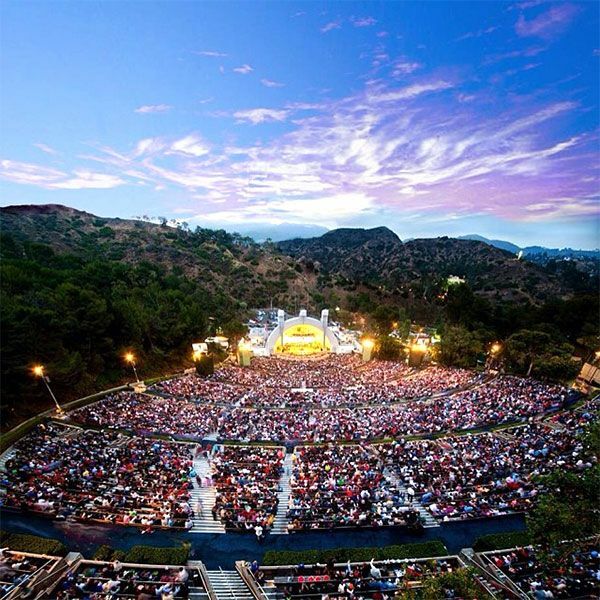 Hollywood Bowl, 2301 North Highland Avenue (near Odin Street); 323-850-2000. The only thing this gorgeous natural reserve is missing is a yellow brick road leading to Emerald City. Prime poppy season is fast approaching (it’s mid-February through late May), so we suggest road trippin’ it out to Lancaster, STAT. 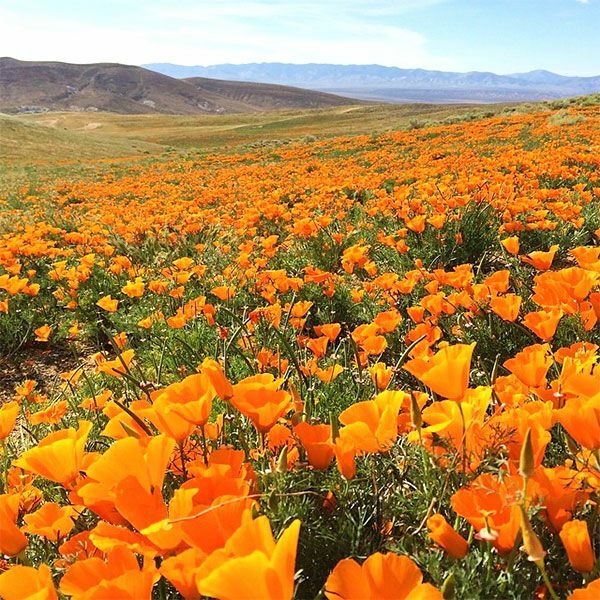 Antelope Valley Poppy Reserve, 15101 Lancaster Road (near 160th Street West); 661-724-1180. 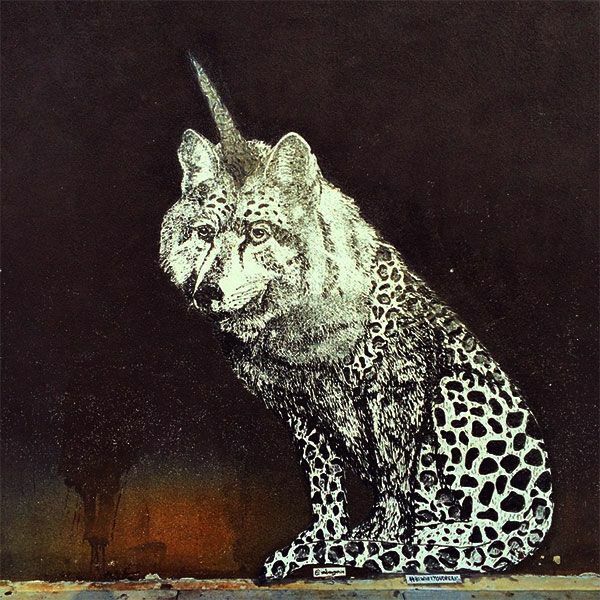 It’s a wolf! It’s a cheetah! It’s a unicorn! It’s…all three. 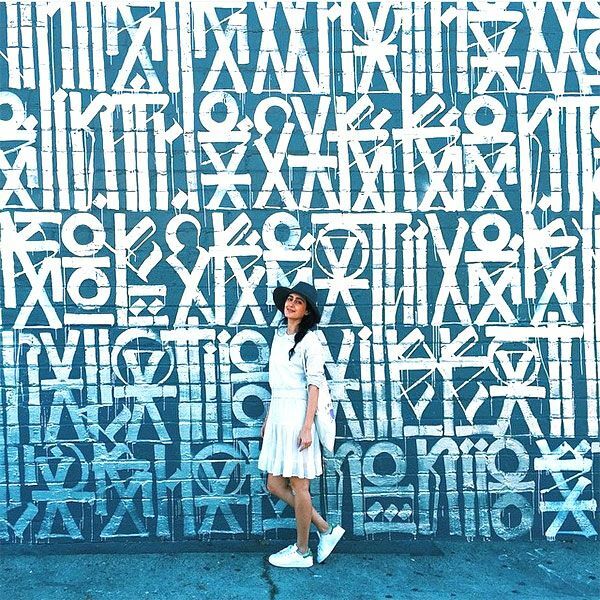 Diana Garcia ‘s creative mural at Gjelina is a total crowd-pleaser. 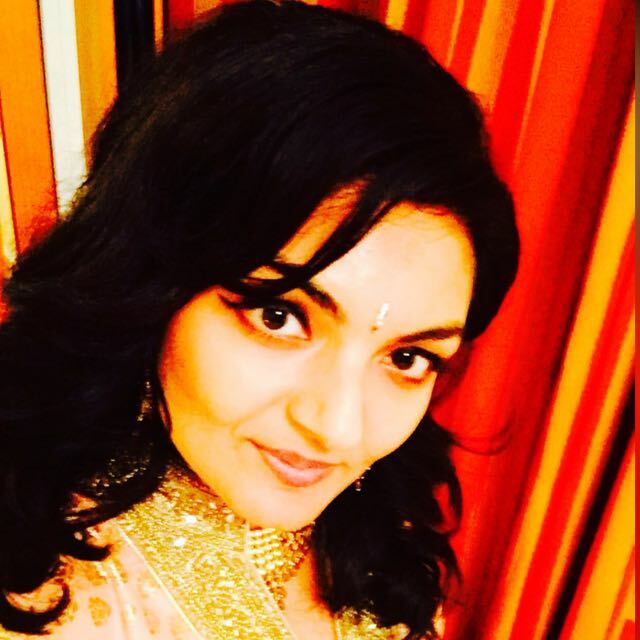 In fact, it might be even more popular on Insta than food snaps from the beloved resto. And, that’s saying something. Gjelina, 1429 Abbot Kinney Boulevard (at Milwood Avenue); 310-450-1429. You can take any photo you want, as long as it’s either a) a shot of you with your luggage à la Aimee Song, or b) a close-up of your plane ticket tucked into your Smythson passport case. The pilot will be checking. LAX, 1 World Way (near South Sepulveda Boulevard); 310-646-5252. Remember when Tom meets Autumn at the end of 500 Days of Summer? 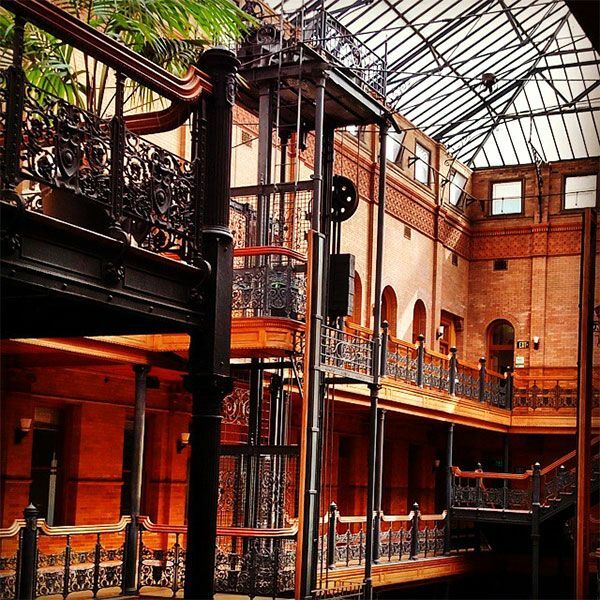 Yep, that was the Bradbury Building. You might also recognize the architectural gem, built in 1893, from Blade Runner. Just don’t forget to soak in the historical significance between shots. Bradbury Building, 304 South Broadway Street (at West 3rd Street); 213-626-1893. Be honest: Could you ever get tired of that view? 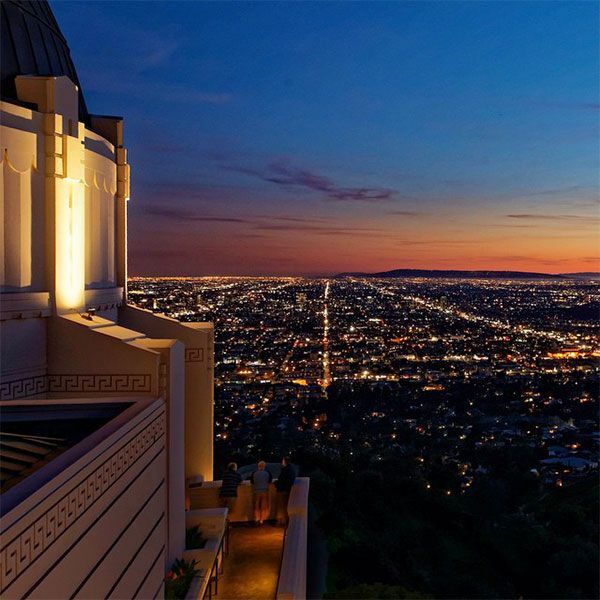 The Griffith Observatory is the ultimate Kodak — er, Instagram — moment. Griffith Observatory, 2800 East Observatory Road (near North Vermont Canyon Road); 213-473-0800. Forget singing “Take Me Out to the Ballgame” during the seventh-inning stretch — ‘gramming is the new baseball tradition in town. 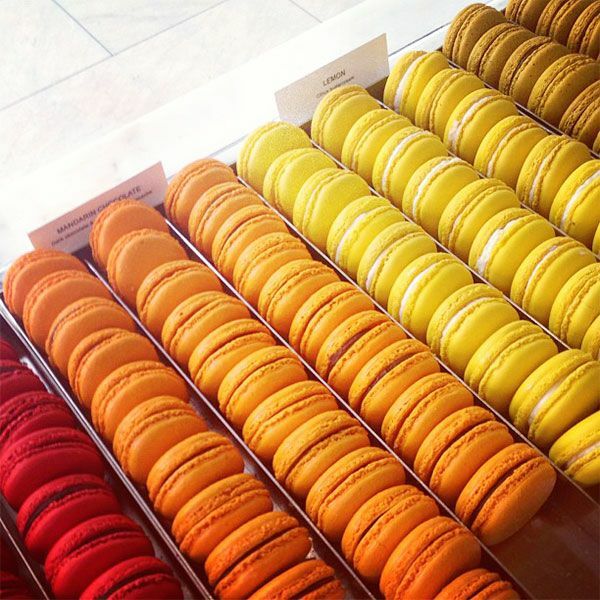 Heads up: You can root for the Boys in Blue at the Dodgers’ home opener on April 6.
Who knew a case of macarons could achieve L.A.-landmark status? Thanks to a certain app, this rainbow-bright sight is familiar to users the world over. 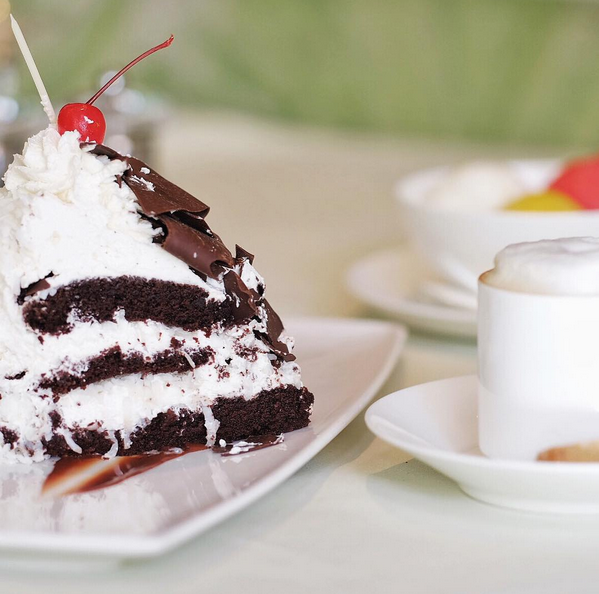 When it comes to Insta-worthiness, the rest of the Italian restaurant ain’t too shabby, either. 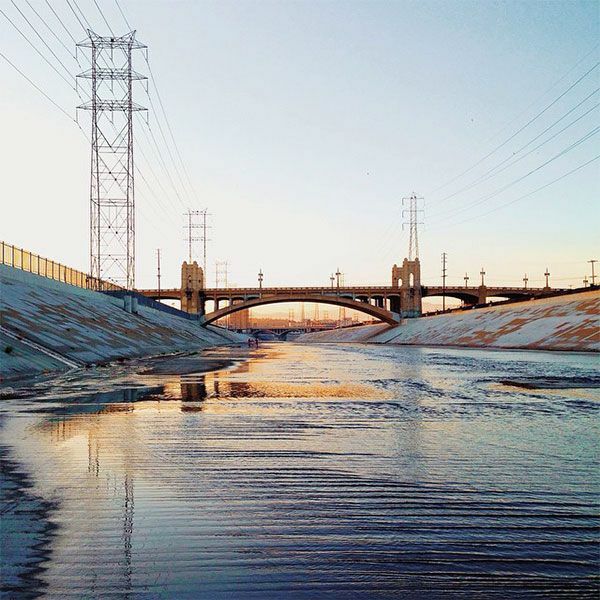 Local artist Retna ‘s rad murals are the definition of Instagram bait. You can spot them all over town, but we’re partial to this stunner, located on the side of Gallery Brown. Gallery Brown, 140 South Orlando Avenue (near West 3rd Street); 323-651-1956. It’s not always so bad being a non-celebrity. 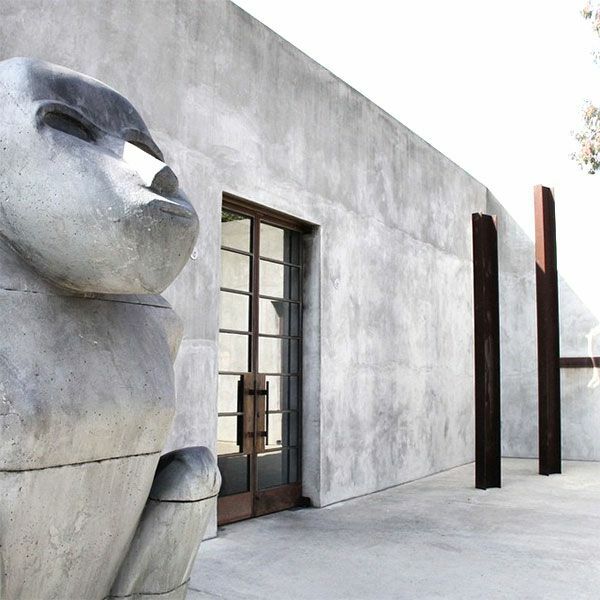 Instead of shielding yourself from paparazzi during your trek from your car to the front door of Maxfield, you can take a moment to appreciate the Insta-goodness of this cement scene. 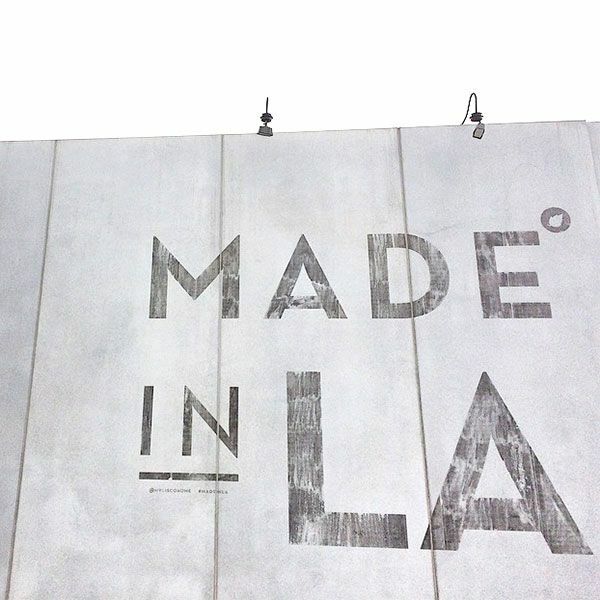 Maxfield, 8825 Melrose Avenue (at North La Peer Drive); 310-274-8800. 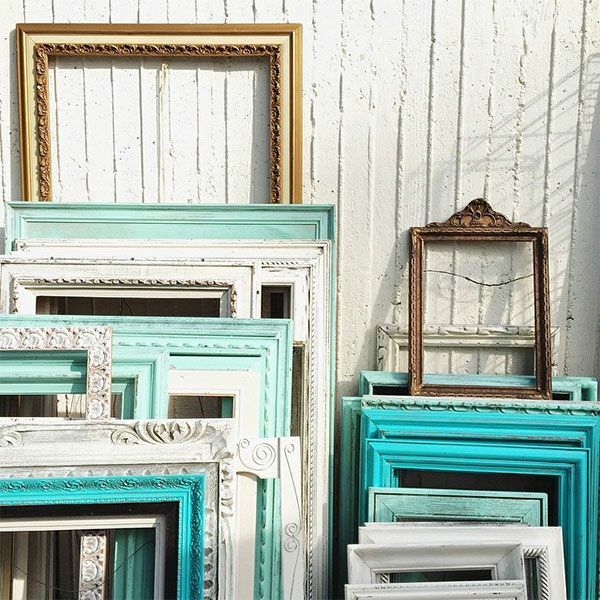 We dare you not to post a #humblebrag Insta of the thrifty thrills you scored at this iconic flea market. 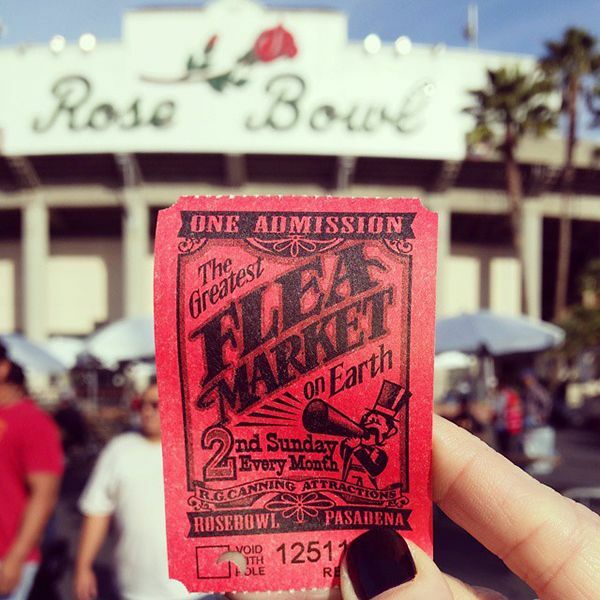 Melrose Trading Post, 7850 Melrose Avenue (at North Fairfax Avenue); 323-655-7679. Disneyland: The (Snap-) Happiest Place on Earth. 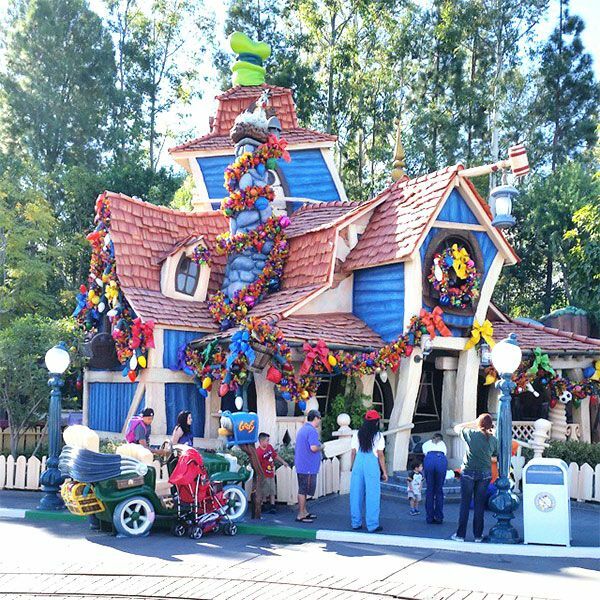 Disneyland, 1313 Disneyland Drive (near West Ball Street); 714-781-4636. Don’t worry: We won’t tell anyone you weren’t actually born here. Cisco Home, 8025 Melrose Avenue (at North Laurel Avenue); 323-932-1155. Friends, if it’s the second Sunday of the month, we regret to inform you that we cannot attend your baby shower or birthday brunch — we have a standing reservation at the Rose Bowl Flea Market. With more than 2,500 vendors to choose from, we always find a tchotchke (or twelve) worth taking home. Rose Bowl Stadium, 1001 Rose Bowl Drive (at Seco Street); 626-577-3100. 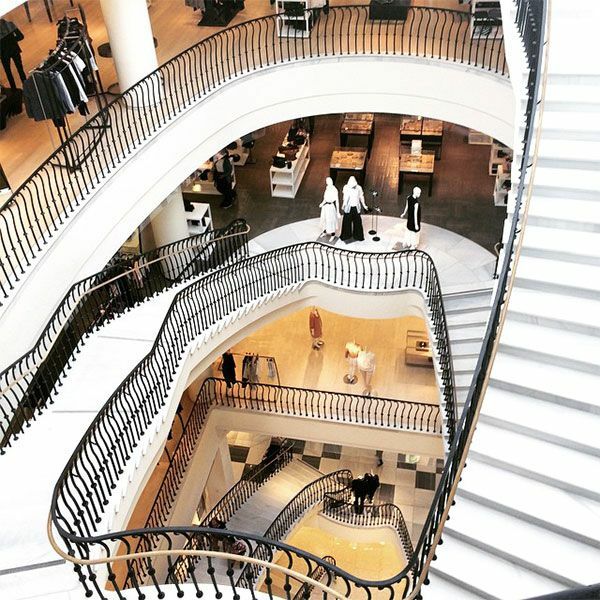 Bad news: Your wallet will probably take a beating at Barneys Beverly Hills. Good news: At least you won’t have to hit the gym after climbing these babies. If there were a Most Instagrammed Staircase in L.A. award, these stark white steps would surely take the cake. Venice is prime real estate for murals and other street art. 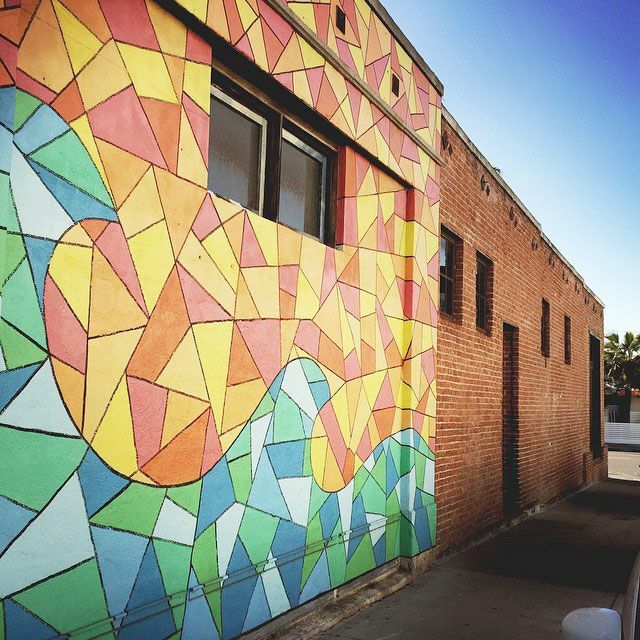 One of our favorites is this wave design on the side of local bar The Otheroom. Designed by Love bErto, the cool pattern just screams #OOTD. The Otheroom, 1201 Abbot Kinney Boulevard (at San Juan Avenue); 310-396-6230. It may or may not be illegal to go into Alfred Coffee and not take a photo of this wall. We can’t be certain, so you better play it safe. 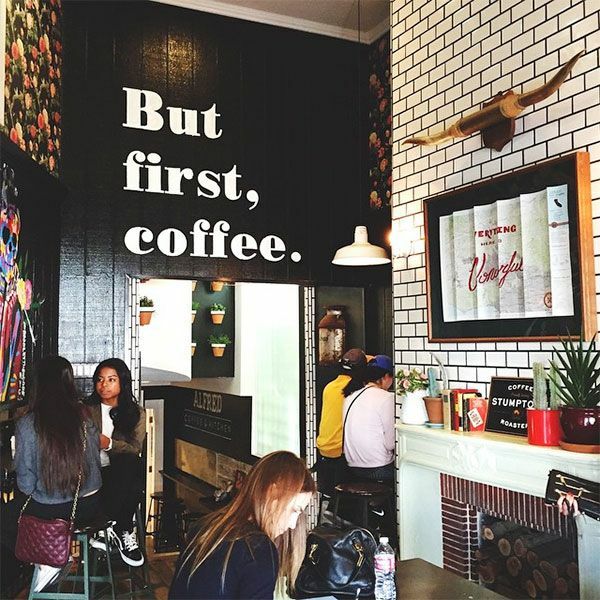 Alfred Coffee, 8428 Melrose Place (near Melrose Avenue); 323-944-0811.